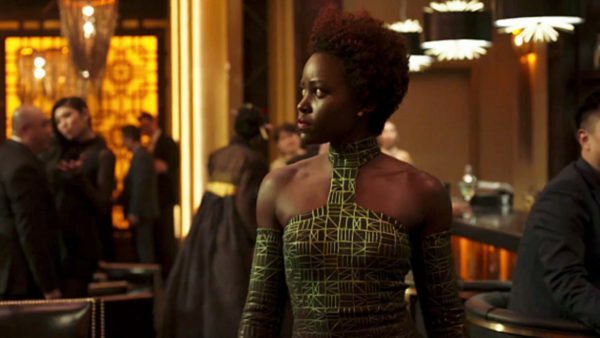 It's clear that the casino fight scene in Black Panther is very special to Ryan Coogler. I'm sure the entire movie is, and for good reason, but that one seems to hold a very special place in his heart. When the first footage from the movie debuted last year at Comic-Con, it was that scene he showed to the crowd of roaring fans. He promised it would never be part of any promos or released online or leaked, and it wasn't. Now, Coogler is diving deep into the details of that scene to Vanity Fair, giving a behind the scenes look into the little things that most of us probably missed. For instance, he talks about the significance of the outfits worn by T'Challa, Okoye, and Nakia, to the weaving of the film's tradition vs. innovation theme. Definitely check it out. Black Panther is in theaters now and breaking all sorts of records.